I’m getting in the spirit of Christmas and sharing something very special with you today… one of our all time favourite family recipes! 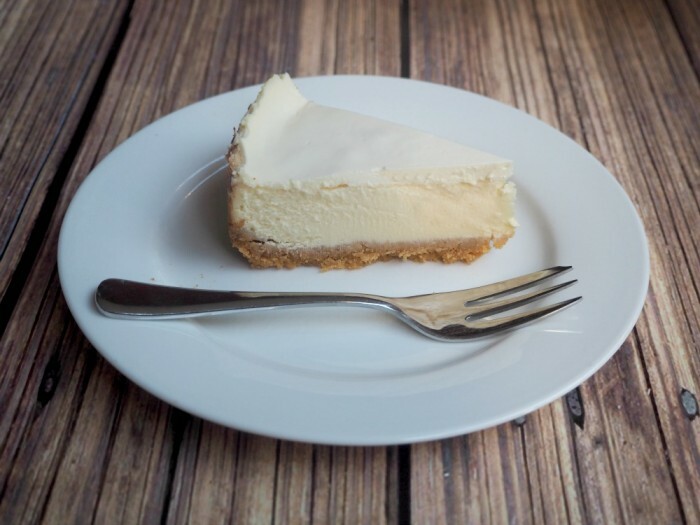 This is my mum’s best ever cheesecake recipe which was given to her by our old neighbour, Mary. We were neighbours when I was a little lass, and my mum has been raving about this recipe since way back when. I was thrilled to convert it to the Thermomix but if you want to go old school, it’s all cool, you don’t need a Thermomix, you just need some elbow grease! However you make it, this is simple, scrumptious, freezer friendly and impossible to stuff up. Oh, and it’s also impossible to resist! Lightly grease a 20cm springform tin. Melt butter for 1 minute at 80C on speed 3. Check butter is completely melted. Add biscuits to TM bowl and crush for 5 seconds on speed 9. The mixture should have the texture of damp sand. If necessary, blitz for another 5 seconds. Tip the mixture into the springform tin. Press the biscuit butter mixture into the base of the tin. Use your hands or a spoon to do this. Place in the fridge for at least 10 minutes to chill. Preheat oven to 170C / 150C fan-forced. Wash and dry bowl. Mill sugar for 10 seconds on speed 9. Add cream cheese, cream, vanilla and eggs and mix for 30 seconds on speed 4. Scrape down lid and sides of bowl. If necessary, mix again for another 5-10 seconds. Pour cream cheese mixture over base. Place springform tin on a baking tray, place in oven and check after 30 minutes. 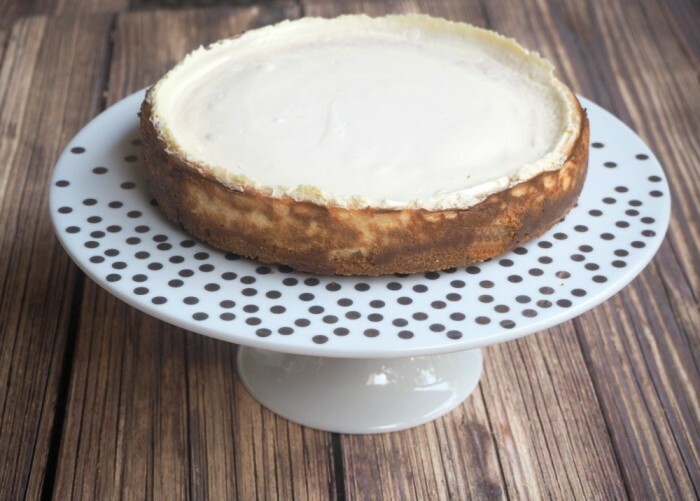 The cheesecake is ready when it looks set in the center with a slight wobble. It needs about 35 minutes in my oven, but needs even longer in my mum’s so it depends on the oven. Allow the cheesecake to cool in the oven for about 10 minutes. 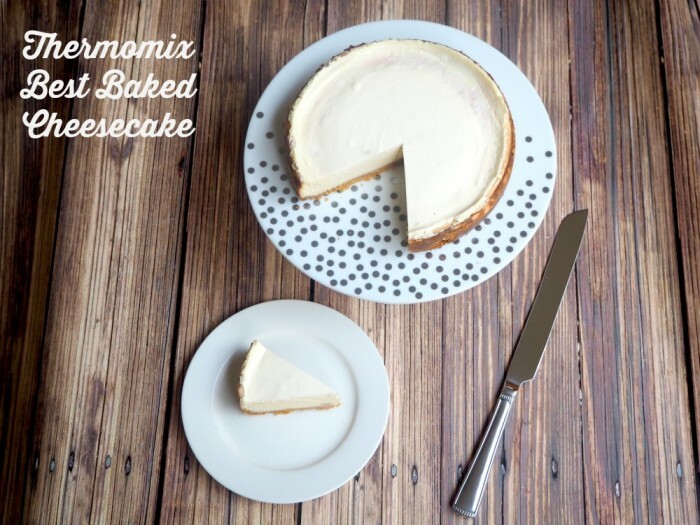 Mix the sour cream and sugar together and spread over the cheesecake. Return to the oven for another 5 minutes. TIP! For best results, make sure that all the dairy ingredients (cream, sour cream and cream cheese) are at room temperature. This is really delicious served with some mango or berry coulis! Nom!